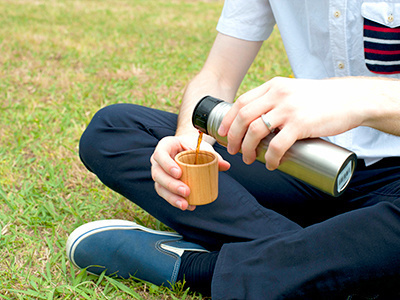 The thermos stainless steel water bottle from “tsutsu” series of the SUS gallery, now combined with a wooden cup through the careful hands of woodturner using the wood lathes. 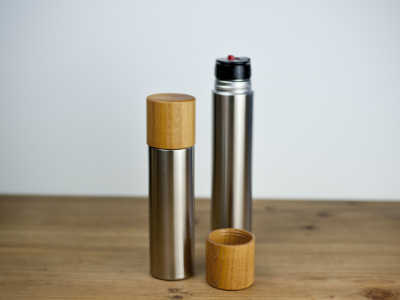 The bottle features a beautiful contrast of warm wood prints and a fashionably modern shiny stainless surface. 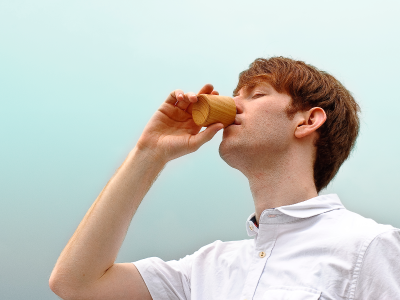 It comes with a high performance thermal power to keep beverages pleasantly cold or warm. 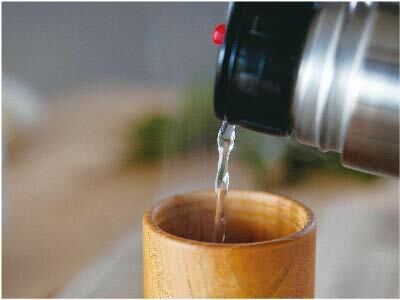 The smooth texture and touch of the wooden cup gives any drink a feel of aromatic mildness. 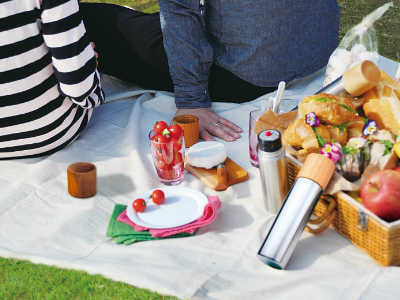 Bring it to your office everyday or take it along on a picnic for your enjoyment.